Mu Sigma Business Solutions is looking for fresh Candidates from Engineering background for the Analyst Post in the company office. Qualification: Candidate should be an Engineering Graduate i.e. a BE/Btech passout from 2011 or 2012 batch from any recognized university in India. Posted in Any Stream, Freshers, Job After Btech, Without Experience. Tags: 2011., 2012 Passouts recruitment, bangalore, BE/Btech hiring, Business Analyst, January 2012., Mu-Sigma on January 31, 2012 by Lalit Joshi. 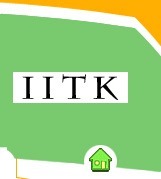 IIT Kanpur | Govt. Jobs | Project Associate | Last Date: 30 December, 2011. 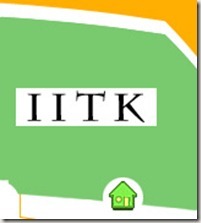 BE/ BTECH/ MTECH (Electrical & Electronics/ Electrical) required in IIT Kanpur. Education: BTECH/ MTECH (Electrical & Electronics/ Electrical) from a recognized University. Project Title: ‘Performance Analysis and Trading of Wind Power Generation in Emerging Power System (Project No. CPRI/EE/20100038)’ funded by CPRI Bangalore. Posted in Electrical, Electrical and Electronics, Government Job, Job After Btech, Jobs after ME/ MTECH, Project Fellowships, Research Fellowships, With experience, Without Experience. Tags: 2011., Govt. jobs, IIT Kanpur, Last Date: 30 December, Project Associate on December 28, 2011 by kavita joshi. 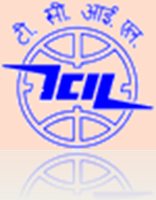 TCIL Telecommunications Consultants India Ltd. | Govt. Jobs | Last Date: 6 January, 2011 | Manager Recruitment. BE/ BTECH (Civil) required in Telecommunications Consultants India Ltd., New Delhi. Posted in Civil, Government Job, Job After Btech, With experience. Tags: 2011., Govt. jobs, Last Date: 6 January, Manager Recruitment., TCIL, TELECOMMUNICATIONS CONSULTANTS INDIA LTD on December 23, 2011 by kavita joshi.